OR Media is excited to announce the pre-Yule release of our brand new album entitled 'Project: Odin - Songs to the Allfather'. A significant number of Odinist artists have once again contributed to what is potentially OR Media's most groundbreaking music release to date. This album - with tracks inspired by the Allfather - is a culmination of artists' musical interpretation of the esoteric and exoteric meaning of Odin and contains tracks which span a broad spectrum including acoustic, metal, folk, contemporary and meditative. An iron grey sky drizzled cold grey rain, Whilst in the lake below, With the rain drip dripping from its long yellow beak, A grey Heron stood statue like by the water’s edge. When a person first embarks on the path of Odinism they are at once confronted with a whole new raft of exciting highs and often, depressing lows. It is true that in these early days, discoveries and disappointments can be found in equal measure and it usually takes some time before the new seeker can successfully get their head around what in real terms is a life changing experience. Very often, one of the more common downsides that can be encountered by a newcomer to Odinism is the problem of solitude! I am very lucky to now live in a very rural part of Britain having finally managed to escape the urban setting. Recently one day, as I lay outside in my garden with my eyes closed, I heard the familiar sound of a bird calling. It's a sound I instantly recognise and immediately know all is well on Midgard. The distinctive pitch of the red kite. It is little wonder that you believe the world revolves around you. After all, you have been at the very center of every experience you have ever had. You are the star of your own movie. You wrote the script. You know how you want it to unfold. You even know how you want it to end. Unfortunately the Wyrd failed to give your script to anyone else. By Aeswyn OR First published in OR Briefing 224 following the departure of Hervor OR from this realm. I was deeply saddened to learn of the passing of Hervor and have said that she was an inspiration to me. I now feel that I need to take that statement further to quantify that remark. By Ulfhethnar Odinsen AOR The Elhaz – Algiz rune is one with many layers, complexities and associations. The relationship between two of these I’d like to consider and discuss on a more personal level as I believe this rune is symbolic of the sanctuary where one seeks to transcend the bindings of Midgarth yet we aren’t told exactly where that sacred Ve is to be found. I don’t wear a Hammer. I am going to admit right now, Folks, I only wear a Valknut. 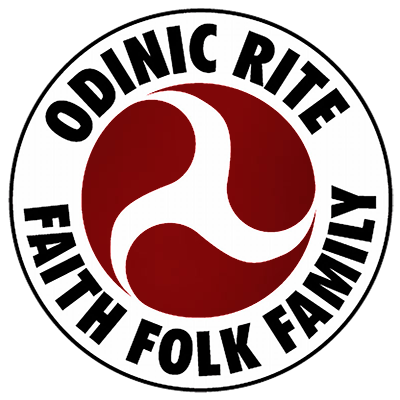 I am an Odinist , literally. Nothing against Thor and his hallowing Hammer, the mighty weapon of the common farmers. I greatly respect the Friend of Man, and his personal devotees are good Folk, but Odin is where my affinity lies. Why? By Thorbera OR A few years ago I wrote an article on the health aspects of onions and since then I have expanded my interests into the 'natural' healing of herbs and essential oils. I'd say I started with teas and found some success and moved on from there. I am no expert, and I am sure there are others reading this who have more experience and knowledge but it's something I have come to enjoy and so far I haven't harmed or killed anyone or anything! or 'An experience of the sacred and what I did when I got there' By Volksieg AOR Due to recent, and not so recent, personal problems, I had found myself succumbing to stress to the point where I had started to question everything that was good in my life. Every day seemed to bring more troubles (real and imagined), more feelings of stagnation and hopelessness. It was whilst in one of those terrible sinking moments that I discovered, with the help of my good comrade Harry S, a rather magical place of healing and I would like to take this opportunity to share this experience with you all.